Do you prefer to live a life of luxury? If so, then you’ll be pleased to hear all about Beboe, a new luxury cannabis brand. Do you prefer to live a life of luxury? 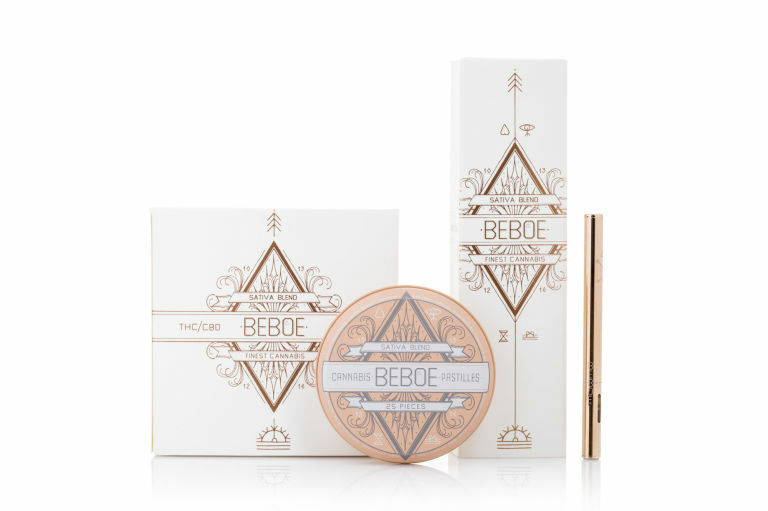 If so, then you’ll be pleased to hear all about Beboe, a new luxury cannabis brand. Not only is Beboe creating upscale products for a more sophisticated weed consumer, but their low dose blend of THC and CBD will satisfy both rookies and experienced pot smokers. Although this beautiful line looks nothing short of elegant, each product is entirely affordable. Even better, they are perfect for any occasion, from tea time to late night happy hour. Weed products aren’t what they used to be. Cannabis companies are aiming to please every kind of consumer, from rookies to everyday tokers. Now, there is a one-of-a-kind brand that’s launching a line for those that prefer to live a life of luxury. Introducing Beboe, a new luxury cannabis brand making upscale products for the more fancier weed enthusiast. In fact, everything about this line screams elegance. From the luxe packaging to the products themselves, Beboe is offering a more chic way to get high. Even better, the brand is ideal for any occasion. Whether it be late night cocktails or tea time with mom and pop, you can carry Beboe’s products with you just about anywhere. So far, the line includes a vaporizer and pastilles. Because the products contain a small dose blend of THC and CBD, they are suited for both beginners and experienced pot consumers. We hope to further along the end of prohibition by building sophisticated products and brands to attract a more sophisticated consumer. This is what we hope will be the catalyst in forging into this new frontier. In fact, the story behind the line is sweet in itself. The brand’s name comes from Campbell’s grandmother, whose name is Be Boe. While his mother was battling cancer, Be Boe would bake her cannabis brownies to help ease her sickness. Eventually, Campbell and Kwan met on a business trip to Detroit, and that’s when the partnership and brand began to emerge. Now that more and more states are legalizing the herb, Kwan and Campbell hope to attract an increasing cannabis consumer base. Not to mention, offer an experience unlike any other on the market. Beboe’s products are going on sale this month at select weed dispensaries in California. Also, you can purchase them by going to their website, beboe.com. The line is surprisingly affordable. The pre-filled vaporizers retail for $60, and the pastilles go for $25.